The Hearth Doctor has been offering quality chimney and masonry services to residential and commercial customers in the greater Charlotte area for years. Whether you’re looking for chimney cleaning, air duct cleaning or complete restoration, The Hearth Doctor will meet your needs. We clean, repair and restore chimneys and masonries that have been damaged by water, lightening and storms. Our highly experienced team is dedicated to providing quality and timely service at a price that you can afford. We look forward to enhancing your home interior, exterior and quality of lifestyle. *Authorized Mendota Hearth Dealer* At High Country Fireplaces, our desire is to provide quality products and exceptional service. We are pleased to sell some of the finest hearth products in the industry, including those manufactured by Fireplace Xtrordinair, Avalon, Jotul, Mendota and Heat n’ Glo. While we certainly understand that price is always a significant factor in your decision, we also believe that customer service after the sale is equally important. We will work closely with you and/or your builder to provide a turn-key package which meets your needs and accentuates your design goals. Please enjoy viewing the information on this site and also consider visiting our showroom. STONE MANTELS INC. carefully creates and stocks the highest quality stone fireplace mantels & kitchen range hoods available today. Our unique manufacturing process starts with recycled limestone and marble slabs and the end result is exquisite stone finishes in our exclusive line of Stone Fireplace Mantels + Stone Kitchen Range Hoods + Cold Cast Metal Mantels & Hoods. Fireplace Mantels, fountains, Granite pavers, marble tubs and sinks, Marble columns, Roof slate, Stone balustrades, Exterior Stone, Statues, Busts, Pool copping and pavers, cobblestone. *Authorized Dealer of Quadra-Fire Fireplaces* Charlotte area’s finest resource for patio furniture, fireplaces, stoves, and accessories for over 30 years. 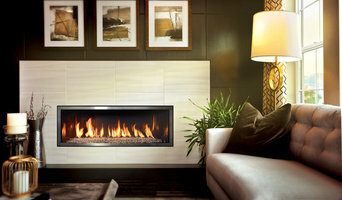 Come visit our showroom of Gas, Wood or Electric fireplaces. 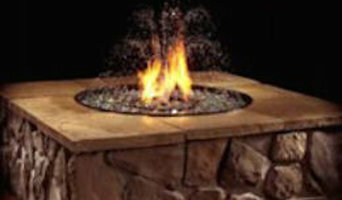 Hearth & Patio offering many options when it come to indoor fireplaces. Any house, outdoor or even the smallest of spaces. We have always believed that our shoppers come to The Hearth and Patio for a friendly and personable shopping experience unmatched by any of the big box chains. Our customers have always appreciated our high standards when selecting our merchandise, which proves to be a lasting investment. We schedule our in-house delivery and installation staff in two hour windows of time. Our staff will arrive in a Hearth and Patio service vehicle, wearing Hearth and Patio logoed shirts so you can rest assured that our staff is at your door. Our motto has always been to exceed our customers’ expectations. We take pride in our customer relationships—our customers become our friends! We sincerely appreciate you, the people of Charlotte, for allowing our family business to continue servicing this wonderful city. Future Energy launched in 1983 when founders, Woody and Diane Padgett, began selling and installing solar water heaters. The business expanded and began adding products and services. Selling wood stoves and gas logs they added chimney services and soon became a full line fireplace shop. In 1994 Future Energy moved to its current location at 130 W. Graham Street, Shelby NC. Future Energy continued to expand adding gas grills and the Big Green Egg charcoal grill to its line of products. Today, Future Energy’s products have expanded even more to include dryer vent services, a full line of outdoor living products and fireplace accessories. After 30 years Future Energy has become one of the south’s oldest hearth shops under the same management. Woody and Diane knew that their industry was changing and they had to change with it. They've continued to expand, build and evolve as the years went on. Future Energy is your one-stop shop. Woody's knowledge of the industry and rapport with customers is unsurpassed. He loves sharing his expertise and helping complete and advise projects. All members of our service team are certified and we install and sell items from our store. We pride ourselves on our customer service and we'll be sure to make you feel like family! Our Team Founder and CEO of Future Energy, Woody Padgett, a native of McAdenville, NC, moved to Shelby at an early age. He is a graduate of Shelby High School and Western Carolina University. Woody holds numerous certifications in the hearth and patio industry and has served as Vice President of the Southeastern Hearth Products Association. Woody and his wife, the former Diane Williamson, have two daughters Lindy Padgett Wease and Katie Padgett Harris. He is the proud grandfather of four, Addison Wease, Boone Wease, Grant Harris and Sarah Harris. He is an avid saltwater fisherman and holds a captains license from the United States Coast Guard. Brian Harris, President, has been with Future Energy for almost 10 years. Brian came to the company with experience as an electrician.He is a graduate of Shelby High School and Cleveland Community College. Since joining our team in 2005 he has added a wealth of knowledge in many areas. His dedication to his job and his skills in customer service make him a great team member. Brian and his wife Katie Harris, have two wonderful children, Grant & Sarah. He enjoys fishing, photography, and traveling with his family. Your Fireplace is unique as no two fireplaces are alike as we hand select materials that are unique and molded into each other. Each fireplace is individually custom made to suit the desired look of our customers. SirVent of Charlotte chimney and venting service is a full service chimney company. We have nationally certified technicians that are certified in both gas and wood burning fireplaces. We repair, install, inspect and clean any fireplace and we also clean, repair and install dryer vents. SirVent of Charlotte, we fix leaky chimneys. We all believe Winston-Salem, Pfafftown, Walkertown and Winston-Salem are the perfect areas to purchase a house. We try to help to make our clients' everyday life better. Southland Door & Hearth Inc's number one mission is providing 100% peace of mind to each of our clients. Our company's motto is "Southland Door & Hearth Inc: servicing Winston Salem happily". We provide regional door support 6 days a week and we are devoted to featuring quick, professional support to all of our clients. The long-standing connections built with our customers show the standing we have earned in the Winston-Salem, Pfafftown, Walkertown and Winston-Salem area. 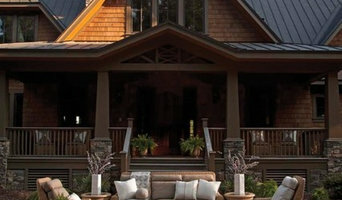 Southland Door & Hearth Inc is run in Winston Salem areas & locally held. Our small business provides door service to the Winston-Salem, Pfafftown, Walkertown and Winston-Salem area. It is usually not cheap to undertake door redesigning, that being said be certain that you don't spend too much. Choosing what front door fittings and fitting of domestic entrances professional you ought to hire is essential to your eventual accomplishment of your job. Southland Door & Hearth Inc: the most trusted regional door installers and established Winston Salem, Pfafftown, Walkertown and Winston Salem front door specialists. Brian Yow masonry in Charlotte, N.C. strives for customer satisfaction with over 20 years of experience, while being fully insured. We are very conscientious when it comes to quality, we come in, complete your project in a neat and timely manner. Call Brian Yow Masonry, Inc for all brick, block, stone, pavers, concrete slabs, footings and any masonry repair you may have. We do all types of slabs, tear-outs and replacements. Let us make your property more beautiful. Call Brian Yow Masonry, Inc today for your FREE consultation. Homefires, America's exclusive distributor for Real Flame and Dowding Metalcraft since 1994, has set out to change the American fireplace market. Representing the pinnacle of luxury in fireplace design, our firebaskets combine the traditional charm of a warm, lively flame with the modern convenience of gas coals to create instant atmosphere in any room. This unique and stylish alternative to the traditional American gas log is sure to please even the most discerning customer. Real Flame created the first decorative gas fire for the English market in 1976 as a fashionable alternative to wood and coal fires, which were banned in London in the late 1960s. Since then, over 400,000 Real Flame fires have been sold to the most discriminating customers throughout Europe, including Buckingham Palace, #10 Downing and the Royal Pavilion. As the exclusive importer and distributor of Real Flame fires and Dowding Metalcraft in North America. Homefires has many satisfied customers throughout the U.S. and Canada and has acquired vast experience in designing, decorating and furnishing all types of fireplaces for homes large and small. 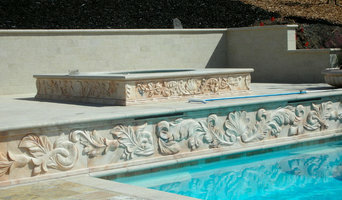 World Stone & Bronze, the ultimate source for all your marble and other natural stone needs. Partnering with state of the art production facilities throughout Europe and Asia. World Stone & Bronze design, manufacture, import and distribute full line of carved stone, decorative stone, building stone and other stone products worldwide and has emerged as a leading supplier for major architectural stone projects including hotels, condominiums, commercial buildings, and residential constructions. We sell, service, and install: gas, wood burning, and electric fireplaces. Fireplace inserts, gas log sets, and fireplace accessories. Since wood smoke contributes to air pollution, many cities have banned the use of wood-burning units. If you’d like to buy a wood burning unit, check the Denver, NC city policies first. If your home already has a wood-burning unit that you’re concerned about, contact a fireplace manufacturer to replace your wood-burning unit with an environmentally friendly electric or gas alternative. Gas inserts can be efficient heaters and may lower your electric-heat bill. Many adjust to provide high heat on a cold night or a low-burning flame for ambience. Interior fireplaces and mantel designs are as varied as home interiors. From custom fireplace mantels made to conceal a flat-screen TV to custom hearth designs with elaborate Renaissance-style stone mantels, the latest designs can be found by visiting Denver, NC fireplace showrooms. Find fireplace manufacturers and showrooms, plus fireplace installation professionals, on Houzz. Go to the Professionals section to find Denver, NC fireplace design and installation experts.